There’s been quite a bit of talk about Asana in the tech world, and when you consider some of the names involved with the endeavor, it’s easy to understand why. 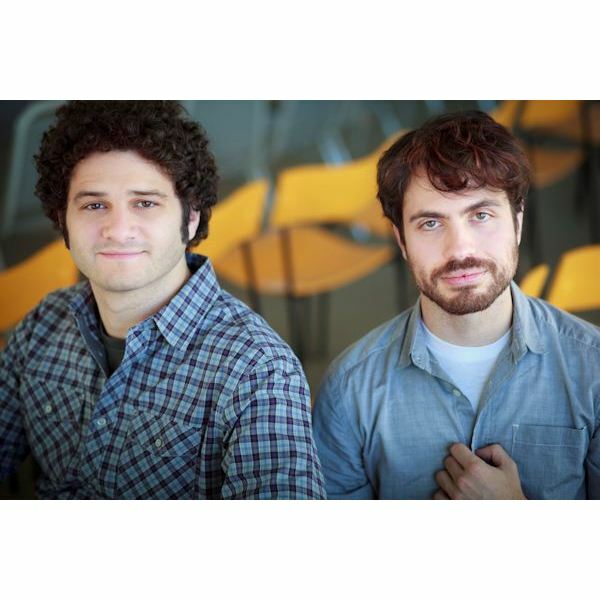 Co-founders Dustin Moskovitz and Justin Rosenstein both held key positions on Facebook’s early startup team, and Asana’s backers include Benchmark Capital, Andreessen Horowitz, Founders Fund and Peter Thiel. Asana is being touted as a project management solution in many circles, but it’s really more of a task management or workflow solution. The application is designed to be as versatile as possible so that almost any group can use it to keep track of what it needs to get done. Families can use the tool to plan vacations or divvy up household chores, students can use it as a homework planner, small businesses can use it to keep track of who is working on what and larger teams can use it to manage both internal and external projects. While the software may be able to serve the needs of smaller groups fairly well, I’m not convinced that it can meet the demands of larger groups or of those working on more complex projects. But, before diving into the limitations of Asana, I’d first like to talk about some of the application’s positive features. Sure, I agree with the old cliché about not judging a book by its cover – or, in this case, an application by its welcome screen – but a confusing or complex-looking interface can easily scare away a lot of people. That’s something you definitely don’t want in a task management tool, especially if you’re hoping to get your team on board and using it as effectively as possible. Asana is excellent in this regard. For the most part, you really can just create an account and get to work. The user interface is uncluttered and extremely intuitive, so it’s pretty easy to figure out how to do things just by clicking and exploring the system. To make the process even simpler, the first time you log in to Asana, an integrated tutorial will quickly walk you through the steps of creating your first project and inputting tasks. One of my favorite things about Asana is that you can create multiple workspaces, and each of those workspaces can house several projects. Since each workspace is only shared with those people who are working on tasks and projects in that particular area, you only need one account with Asana to manage both personal and business workloads. Despite the fact that all of your workspaces can exist under one common login and you can navigate from one space to another with a click of a button, you cannot move projects, tasks or any other data between workspaces – except by copying and pasting. I’d really love to be able to move task lists to a different space and create new workspaces that branch off others that have become too large and unwieldy, but that’s really a like-to-have feature rather than a must-have one. Another nice feature in Asana is the ability to duplicate projects. This is particularly useful for those projects that are really just a group of tasks that have to be performed over and over again on a regular basis – such as the steps needed to roll up data for monthly reports or a checklist of things that need to be done whenever you hire a new employee. While you can’t duplicate individual tasks, you can set them up to recur on a periodic basis in much the same way you do in other task management systems. If you really do want to duplicate individual task items rather than setting them up as recurrences (or simply cutting and pasting), there is a bit of a workaround. You can create a new project, and call it something like Temp. 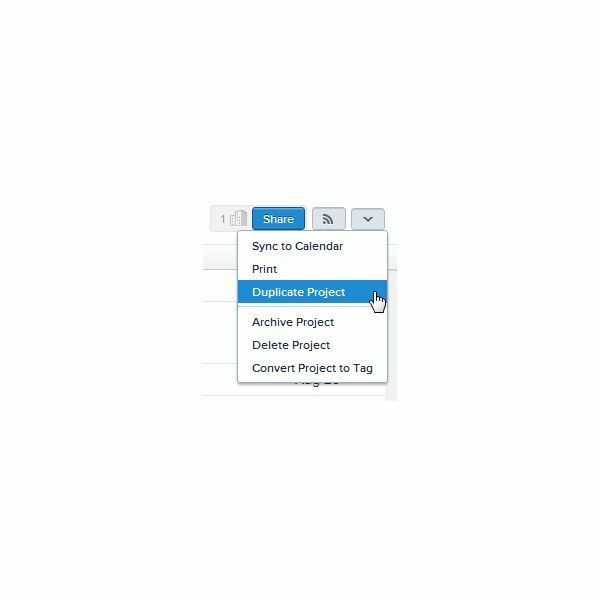 Then add the tasks you want to duplicate to Temp – individual tasks can be assigned to multiple projects, so adding them to this temporary area will not remove them from the original project. Finally, duplicate the project named Temp to a completely new project. When done, delete the Temp project. Asana has an excellent Help Center that is accessed by clicking on Help at the bottom of the application interface or by going directly to help.asana.com. After arriving at the Help Center, just type in a few words related to your query and a list of related topics will appear. If you can’t find the answer to your question, you can either email Asana directly or click the Ask the Community button and fill out a form to post your query to other users. The community area is also monitored by Asana staff so they will often jump in and post their own suggestions and answers. There are also several tutorial-like videos that you can access by clicking on Help at the bottom of the Asana interface. Although these are mainly for new users of the software, they also include tips for others who are trying to figure out a way to do something different. Without some method of formally indicating task dependencies, a task management system really becomes nothing more than a fancy to-do list. While Asana does let you organize and view tasks in a lot of different ways, there is no means to specify which tasks are dependent on others. You can hyperlink to other tasks in the Task Details pane and leave comments about dependencies, but that’s not really much different than leaving a sticky note on a file folder. For me, this is a critical issue – and it’s the main reason why I don’t think Asana is suitable for large collaborative teams or for those who are managing anything but very basic projects. I still believe Asana is great for individuals and for teams who only have to collaborate on a number of small activities or stand-alone tasks, but the inability to formally specify task dependencies makes the product too weak for the needs of most project managers. Another major limitation is you can only assign one person to each task. You can add multiple followers to a task, but this only means that the followers will receive email notifications (if that option is turned on) for each item they’re following. The task itself will only show up on the My Tasks screen of the single person who is officially assigned to the line item. As a workaround, you can create a private tag with your name as a label and add that tag to all the tasks you’re following if you want to be able to find these items more quickly without searching through the entire project. Suppose Johnny the Intern has just been assigned to your team and you want to give him access to your workspace so he can learn more about the stuff you’re working on. That’s easy enough to do – all you need is Johnny’s email address and you can add him as a member in just a few seconds. However, you can’t control the type of access he has. With Asana, it’s all or nothing. If you add a member to a workspace, that person can add new tasks, edit or delete existing ones, reassign people to tasks… basically, he can do anything that you can do. You do have the option of adding someone as a guest instead of a member to a project or task. If you add someone as a guest to an individual task, he will only be able to edit or delete that particular task. But, if you add a guest to an entire project, the guest will be able to do almost everything except delete that project (he’ll still be able to delete individual tasks). In addition, the guest will also be able to invite other guests, with each new invitee having the same level of access. The concern about unwanted deletions and changes – and even unwanted viewers – isn’t just paranoia. If you’re working with a large number of collaborators, each one with a different degree of understanding on how the application works, it would be very easy for someone to make a change without realizing the full ramifications of that action. Before I would feel comfortable using Asana with big teams, I’d like to have the option of being able to assign user-defined roles – or, at the very least, have the ability to restrict a person’s permissions to read-only. The pricing options for Asana are based on the number of slots you need for workspace members. For up to 30 members, Asana is completely free, but you can still upgrade to a premium workspace if you want the added bonuses of being able to adjust project-level permissions and obtain priority support. In that case, the 30-member plan costs $100 per month. Note here that adjusting project-level permissions does not refer to being able to restrict the amount of access someone has. 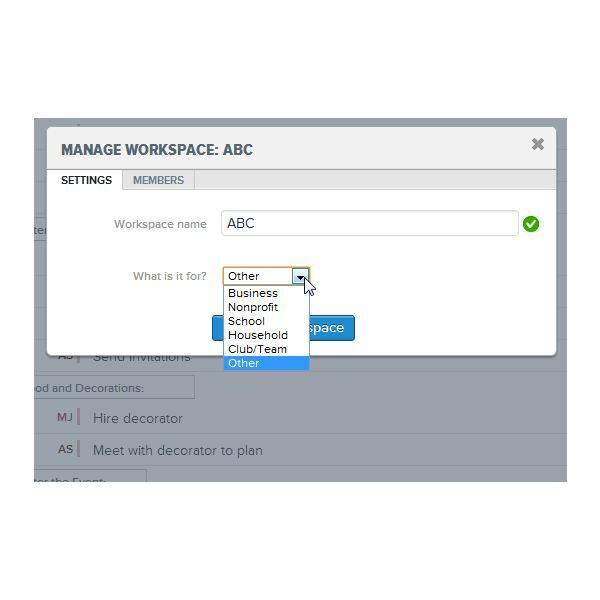 Instead, it simply means that you can choose a subset of all workspace members to have access to a specific project in a space rather than automatically granting all workspace members access to all projects. If you need to support more than 100 members, contact Asana for a price quote. Overall, I think Asana has the potential to be a fantastic project management tool, but I am disappointed by the lack of support for task dependencies and the limited control over permissions and roles. There are a few other issues that I’m not crazy about, but they’re not big enough to turn me off the product. Unfortunately though, I feel that the two areas I mentioned above are critical components that should be part of any project management application – especially for teams of 30+ members, which seems to be Asana’s target audience since that is where the money starts rolling in. On the other hand, if you’re an independent consultant or a part of a small, close-knit team, Asana has a lot to offer and is worth checking out. If you’ve already tried out Asana, please leave a note and let us know what you think of the software. Asana screenshots taken by author. Photo of Dustin Moskovitz and Justin Rosenstein, courtesy of Asana.